There are currently 3.03 Billion active social media users across the globe, on average people have 5.54 social media accounts and spend on average 116 minutes a day using social media (Source: Brandwatch). There has been a shift in activity on social media: we used to login to platforms like Facebook, often on a desktop computer, to catch up with friends and share messages, but today many of us access the platform multiple times a day on our mobiles, and engage with content, videos and news stories, probably a lot more frequently than we are interacting with our connections. Brands have recognised this shift, and many have seized the commercial opportunity of social media with paid advertising and influencer marketing to increase sales. What comes as a surprise is that so many companies that are nailing social media management for their consumer brand, are doing very little to replicate this for their employer brand. The opportunities are there, but for social media management to work for recruitment marketing it requires a different approach. Depending on your organisation, the likelihood will be that the audience for your consumer brand and the potential candidates you are looking to attract will be totally separate. Not only are the audiences different, but the type of content each wants to engage with is unlikely to be the same either. Piggy backing your recruitment marketing efforts on the back of your established consumer platforms may seem like the easiest option, but with an irrelevant audience you are unlikely to see any real results, and you may find that your attempt to include recruitment marketing content simply waters down your overall brand message. The answer to this is to build out a separate careers focused social presence, which allows you to be more targeted about the information you deliver to relevant followers. Check out AutoTrader Life and Selfridges Careers for inspiration. There are lots of social media platforms out there but depending on the type of candidates you are looking to attract you may find some more successful than others. 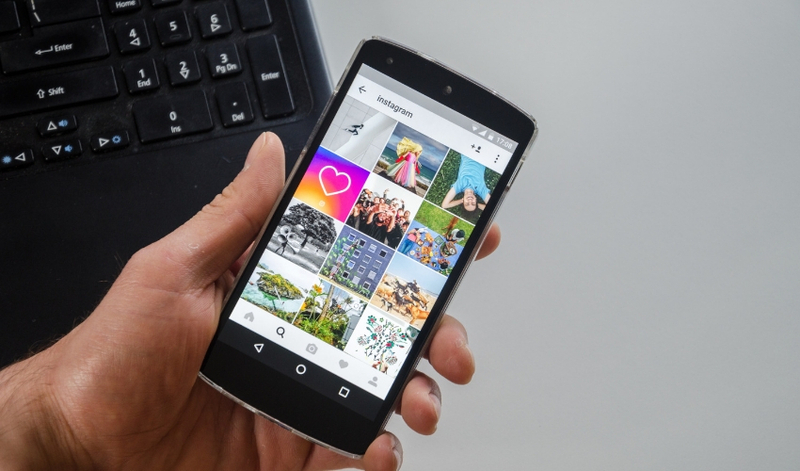 Facebook and Twitter are two of the most widely used platforms, but don’t forget to explore platforms like Instagram and Snapchat too. You may find each social network is better for different areas of recruitment marketing too. For example Facebook may work best for clickable content such as Q&A’s and articles to showcase your employer brand, Instagram might be better for visuals giving an insight into your offices and culture, and Twitter might work best as a platform to share your vacancies. If you are separating your consumer and employer brand the likelihood is you are going to need to assign at least one person to look after social media management for your recruitment marketing. Whether you make this part of your HR / recruitment team’s responsibilities, or you hire someone new, the important thing is to make sure they have enough time and understanding of social media to make this work. There is no point in doing this if you are only going to give it 10% of your attention. Finding the right people to work for you is essential to the success of your business, so it deserves the same attention that you give to your consumer marketing. As we touched upon earlier the whole reason you need to separate your consumer and employer brand social profiles is because the audiences are different. Building a following is essential if you want your message to be delivered to the right people, so use his as an opportunity to encourage follows that are relevant for the type of candidates you want to attract. The first step is persona mapping for these candidate groups. If you are using Twitter / Instagram, then you can search for users and follow them from your careers profiles to encourage relevant follows back. You can also employ a number of paid adverts around these candidate personas to increase the likes and followers of your profiles, and of course use any opportunities from speaking with candidates to direct them to your social profiles too. Employee advocacy refers to your current employees positively promoting your company to their own networks (usually via social media). It could be a simple retweet or share of a post from your company, or an autonomous post that showcases exactly why they love working for you! Each single share gets your company’s content / brand seen by more and more people, and with Facebook’s recent algorithm changes this is the only way (without paying to sponsor your posts) to guarantee more people will see the content you’re sharing. Example: If you have 100 employees, each with an average of 400 network connections then a single share from each person would give you a potential reach of 40,000 people. Social algorithms limit this to an extent, but the more employee advocates you have the bigger your potential reach will be. These social network connections are often people who live locally to your employees, potentially people who will have studied alongside them at University and may even be their ex work colleagues with the same skill set and experience. Basically, your employees’ networks are an untapped pot of gold full of potentially perfect candidates for your organisation, so empowering employees to become advocates may well help you secure your next hire! Another thing to consider is exactly who is looking after your social media management. If it is confined to one or two employees within a specific department such as HR and Recruitment, then there is a chance that the content and messaging you deliver will be unconsciously biased towards those departments. Consider opening up your social media for employee takeovers to give a more authentic insight into what life is like in your organisation. This is particularly important for companies with more than one location, as life in the “head office” can be completely different to your other locations and job functions. This will help give a more human and authentic voice to your employer brand too, which will only help with your candidate attraction and engagement efforts. There is no point ploughing all of this effort into social media management if you aren’t going to monitor what works and what doesn’t, so make it part of your agenda to track the ROI and measure campaign results. When you post from a business account (paid or organic) you will get an insight into key analytics, so try and monitor this closely. If a certain ad set or creative performs better, then you will want to try and replicate this for future campaigns too. While there are so many benefits of controlling your social media management internally, for some companies this is just not feasible. Agencies that are experienced in social media management will be able to manage this on your behalf, but the important thing to remember is that you want to showcase YOUR employer brand, so if you do outsource you will want to share updates and key information to ensure all messages shared represent your employer brand in the best way. If you’re interested in hearing more about how JobHoller can help you with your social media management plans then get in touch today at 01244 567 967 / info@jobholler.com. You may also be interested in our blog: Could LinkedIn for Business be your most Important Social Media Tool?